Sasha made it through the marathon of fireworks with only a few anxious moments, and seems to be settling in well to the summer routine. It’s too hot for walks after 8 a.m., and by the time the pavement cools off in the evening she’s usually already settled in for the night. The weather and some other issues have caused us to limit our outdoor exercise to early morning jaunts and intermittent bursts of playtime and training time in the yard. We’re fortunate to have plenty of shade, and she’s quick to retreat inside when she’s had enough. Color me biased, but isn’t she beautiful? Compare these photos to those taken back in February when she first came to us, and the difference is amazing. Her Sheltie sense of humor is shining through now, and she keeps me laughing. What a gift she’s been! How do you manage to keep your dogs entertained and exercised during the heat of summer? Inquiring minds want to know! 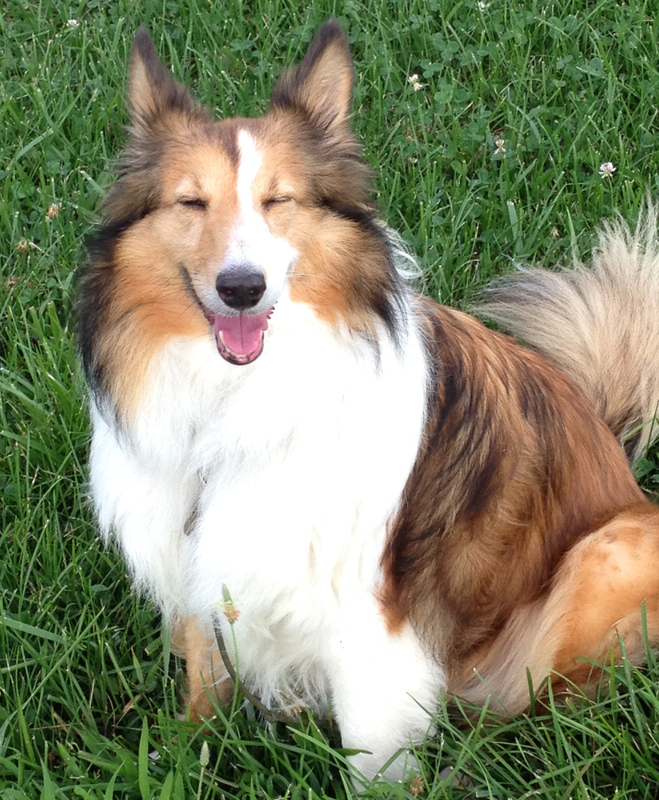 Anyone following Sasha’s journey knows my Sheltie is no fan of noise. She was hypersensitive to clickers, coffee grinders, and any number of household sounds. (Want to know how we’re managing those? Catch up on that part of her journey here.) So it’s no surprise that fireworks invoke an Aaugh!!! reaction. 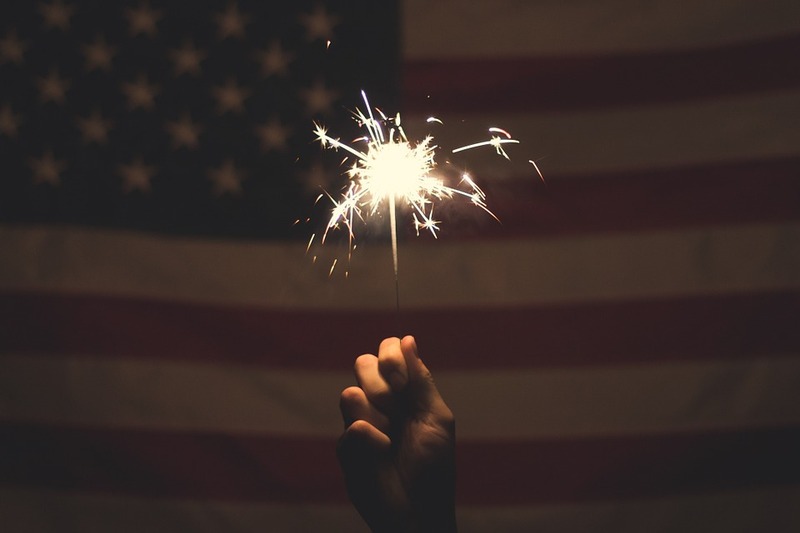 Before the storms rolled in last night and sent the celebrants scurrying for cover, it seemed half the neighborhood was setting off bottle rockets, roman candles, cherry bombs, and any other sort of firecrackers guaranteed to delight thrill-seekers. Everyone else? Not so much. We’d done our best to create a calm environment for the holiday weekend. Even without knowing Sasha’s past, we already knew Buddy the Cat’s attitude toward fireworks. Buddy was a rescue who came to us at just three months of age, so we’ve had lots of time to create positive experiences for him. Still, those first three months on his own are etched in his memory, and the Feral Cat Within emerges in times of stress or pain and his first instinct is to hide. We’ve managed his anxiety by keeping fans running and doors and windows closed, Willie Nelson on the stereo (Buddy’s a big fan) and a movie he gets to choose from the cabinet. (Hey, everyone gets a vote in this household!) 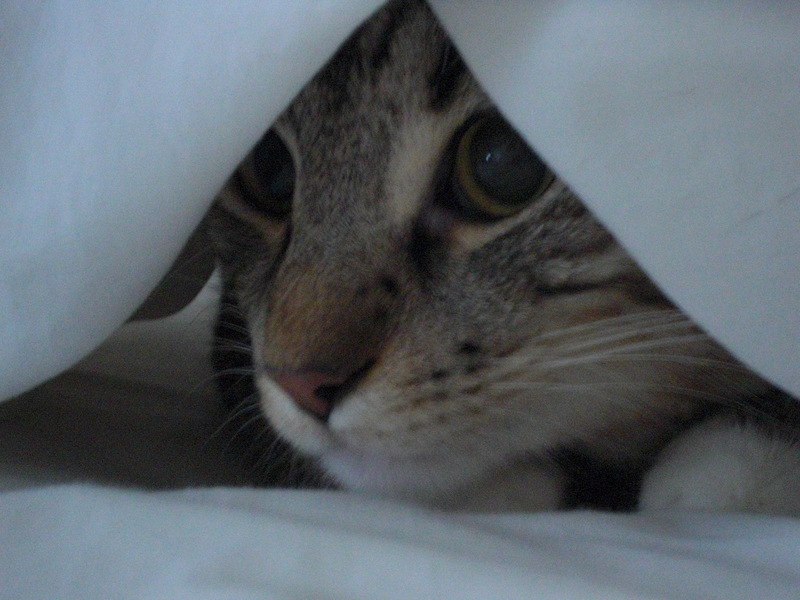 He still dives under the covers now and then, but that tends to happen when he just feels the need for solitude. As those solitary periods tend to coincide with linen change, I suspect he’s successfully overcome his early trepidation. Sasha, in contrast, was on high alert and making the rounds with every bang until I distracted her with beef jerky strips–something new for her. An instant hit, making me grateful once again for all the delicious treats we received as part of Sasha’s goody bag at the Humane Society of the Ozarks’ annual Dogwood Walk. And since Sasha’s idea of her “safe place” is wherever I am, I positioned her bed next to my recliner, close enough so she could snuggle as she liked. Once she realized the rest of us were calm and relaxed, she settled into her bed to enjoy the movie. This is the number one most important thing! More pets run away on July 4th than any other day of the year. Be sure that your pet has proper identification tags with updated contact information. 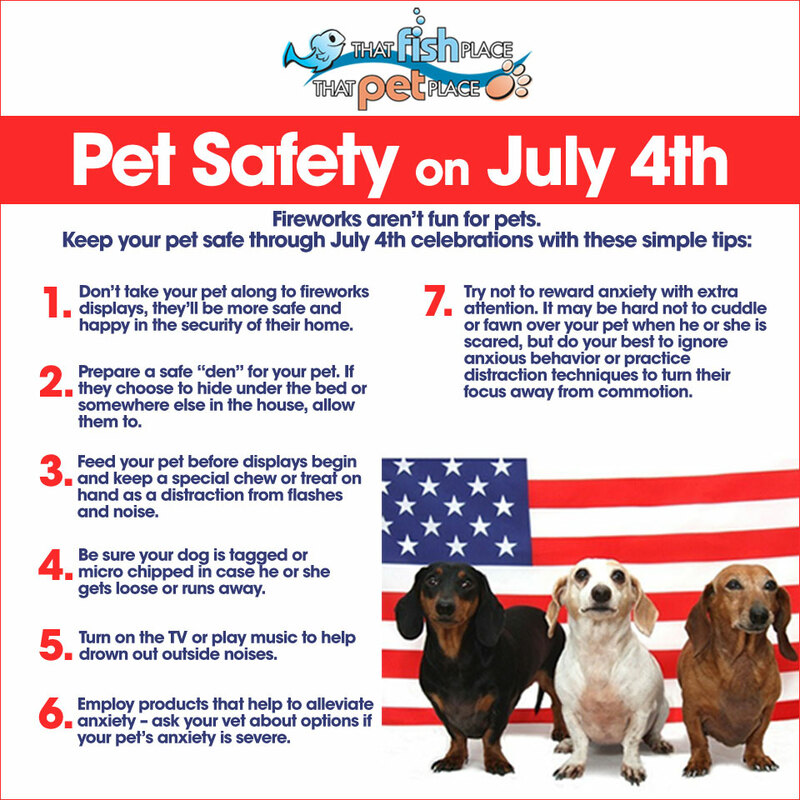 On the 4th, be sure to keep your pet on a leash and keep a close eye on him when out and about. The best thing to do for a dog that gets nervous, anxious, or fearful during fireworks is to properly prepare BEFORE the day arrives. 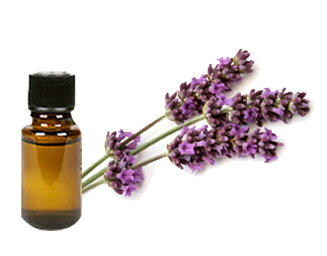 Lavender is a naturally calming scent for both humans and dogs. I have recommended lavender in the past for dogs with arthritis. To use lavender for your dog, take some time to give your dog a massage and give some good petting. Put just a little dab of lavender oil on your hands before massaging your dog and/or petting him in his favorite spots. Use nice, calm, slow strokes. Slowly massaging the outsides of the spine from the neck down is another proven approach. Be sure not to use a lot of lavender. A little dab will do just fine. You do not need a lot to get the smell, and we do not want to have dogs licking excessive amounts of oil off themselves. The point of this exercise is to associate the smell of lavender with a nice calm, relaxed state of mind. You should do this for a few days (or more) prior to the fireworks on July 4th. Your dog will build an association to the smell of lavender and being relaxed and calm. Before the fireworks begin, put your dog in his “safe place” with the scent of lavender. For many dogs the thing that makes them feel best and most safe is to be able to get as far away from the sights and sounds as possible. Have a spot ready that your dog will enjoy and be comfortable in. Make it somewhere far away from outside walls and windows. This will make it easier for him to relax. The best thing would be a kennel or crate. Dogs generally enjoy den-like enclosures, and having your kennel or crate set up before the 4th will help them have a nice spot to go. It is also helpful to place sheets or towels over wire crates to help block sound and lights. Be sure to take the temperature into consideration. It is summer and things get hot quickly. Do not make your “safe place” uncomfortable for your dog by making it too hot. You are most looking for a den-like area for your dog to feel safe. If possible feed and/ or treat your dog in this area prior to the 4th. Make sure the area is lined with a bed or comfy blankets for your pup as well. Also remember to try and give your dog something he enjoys to help occupy him such as a chew bone or Kong filled with some yummy treats or peanut butter. If you will be around your dog during the fireworks, the best thing you can do for them is to remember to remain calm and feel like the fireworks are no big deal. Dogs react to energy. If your energy is telling your dog that you are calm and not at all worried about the sights and sounds, your dog will feel that it is okay for him to relax as well. A fantastic way to help your dog is to thoroughly exercise him before the fireworks begin. Be sure to get your evening walk in before it starts to get dark. The less energy your dog has, the less energy he has to put towards being fearful. 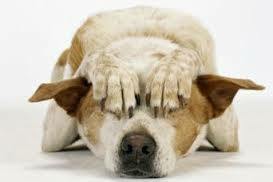 A tired dog will be more comfortable and will be able to more easily ignore the sounds and sights of the night. Read the entire article at the Such Good Dogs blog. The American Kennel Club always has helpful information about canine care, and they’re put together a sensible list that’s worth keeping for year-round reference. (New Year’s Eve, for example, often ends in a frenzy of fireworks.) Find that here. And here’s a great graphic, courtesy of the AKC, that sums up the key points to help keep our beloved pets safe. Wishing everyone a happy and safe celebration!